Complete the form below to be sent your insured (upto £20,000) FREEPOST Watch Repair Envelope. At W.E.Clark we are delighted to be able to offer a first class watch repair service, by our very own in-house Master Watchmaker. 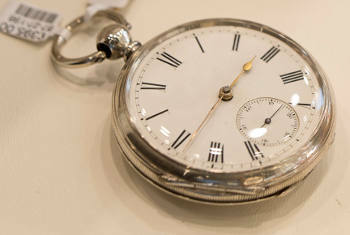 We have the expertise to repair any watch, including vintage watches and antique pocket watches. Our Master Watchmaker has over 25 years’ experience in the repair of all watch brands including Rolex, Omega, Cartier, Breitling, Tag Heuer, and Longines. Whether you require a watch battery replacement and pressure test service, or total refurbishment of your vintage watch, our Master Watchmaker has the expertise to help. Our Master Watchmaker offers an extraordinary level of expertise, and we are delighted that he has achieved many successful repairs where other watchmakers have failed. The service we offer to our customers is just as important to us as our expertise. With our FREEPOST Watch Repair Service your valued watch is fully insured, from the moment you post your watch until the moment you receive it back. All work required is discussed with you before any costs are incurred. We repair watches from all over the world, though our FREEPOST service is only available to customers in the UK. Our specialist watch repairs are also available via our Lewes or Uckfield showrooms. Feel free to pop in and see us. Our team will be delighted to discuss your requirements with you. Based at our Lewes showroom, our Master Watchmaker is able to diagnose any issue with any timepiece, quartz or mechanical. 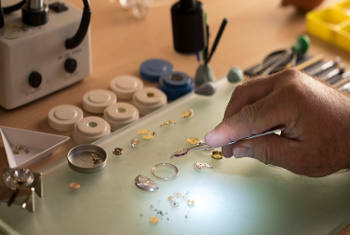 He is one of only 10 watch repairers to hold this title in the UK – gained through years of experience mastering the intricate techniques required to repair the many variants of complicated watch movements and mechanisms. Our Master Watchmaker knows everything there is to know about the precision engineering of a fine Omega timepiece. We can repair or refurbish any Omega watch, including vintage Speedmasters, Seamasters, De Ville wrist watches and contemporary timepieces, such as the Globemaster. 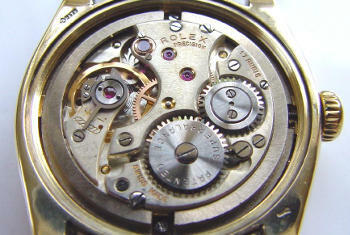 We are one of a few businesses who are able to assist with the repair or restoration of your vintage Rolex timepiece. Our Master Watchmaker has extensive experience repairing and restoring, even the most complex, vintage Rolex watches. 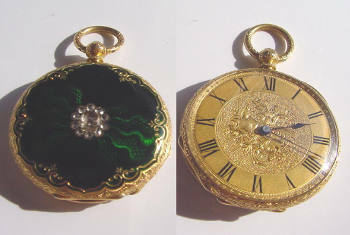 We repair any kind of pocket watch. Our Master Watchmaker is one of a few repair specialists in the UK with the experience and expertise to repair any make of antique or vintage pocket watch. 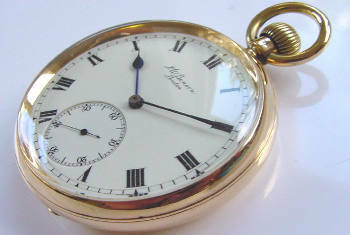 Any Hunter, Half-Hunter or open face pocket watch can be repaired or refurbished with us. We can correct positional errors, replace parts and carry out extensive restoration work if required. 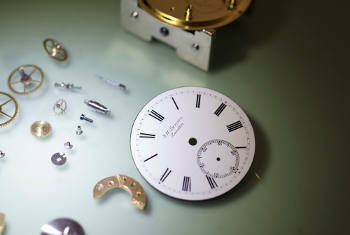 At W.E.Clark we love to repair and restore classic timepieces. Our Master Watchmaker can work on any brand including Rolex, Patek Philippe, Omega, Heuer, Breitling, Tudor, Longines and many more. 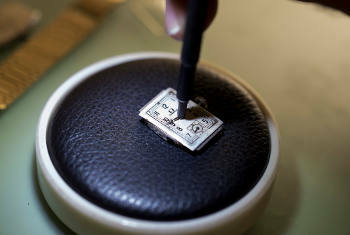 Our Master Watchmaker excels in vintage watch repair and can restore your timepiece to the highest level. Antique watch repair is one of our specialities. Our Master Watchmaker is gifted in the understanding of all antique watch movements, from key-wind and key-set through to lever-set. Our Master Watchmaker has the expertise and the delicate hand to bring any antique pocket watch back to its former glory. We can replace any chipped or damaged watch glass, and reseal waterproof watches to their original water resistance rating. We fit all watch glass in accordance with the original manufacturer’s guidelines. With us your watch is in safe hands. If your watch is looking a little tired and in need of some attention, our skilled Master Watchmaker can carry out any level of refurbishment. 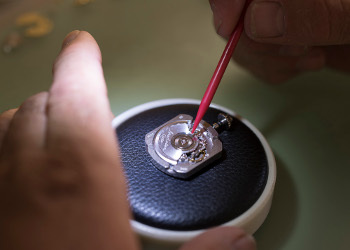 Whether your watch requires a simple clean and polish of the case, or a complete refurbishment, we have the expertise to bring your timepiece back to its best condition. We can replace any watch battery, as well as pressure test and reseal any watch brand. With our new Sigma water resistance tester, we can offer a guarantee for the level of water resistance at the time of testing. 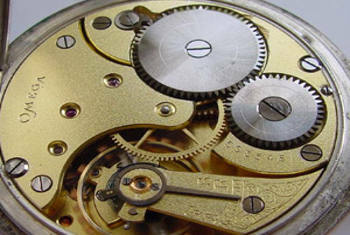 We send all of our dial restoration work to one of the country’s leading dial restorers. Dial restoration is an exceptionally specialised service, which is why we sought out the very best in the UK to work with. Our partnering dial restorer has the specialist metalwork, engraving and dial painting skills to achieve a perfect finish. To maintain precision timekeeping, all watches require regular servicing. Our specialist watch service can carry out the regular maintenance required to keep your watch working at its optimum and looking its best. Our highly skilled, in-house Master Watchmaker can service all kinds of watch movement, and carry out any necessary repairs, including sourcing or making replacement parts.